(UPDATED) To make this a little more fun and allow people who already own a brush I've changed up the prize options so check them out below. Even if you don't win check out the companies for great products! Thank you to all my followers and good luck! I was waiting to start this giveaway until after the current one ended, but decided I needed something to cheer me up and giving to others always does that for me. To Enter the Giveaway FOLLOW my blog and LEAVE a COMMENT (no anonymous comments you must be a follower) on this blog post with all the info below that you complete. Note: This item is being purchased by myself and with the help of my wonderful fiance' <3. I think it's a great item for a giveaway! 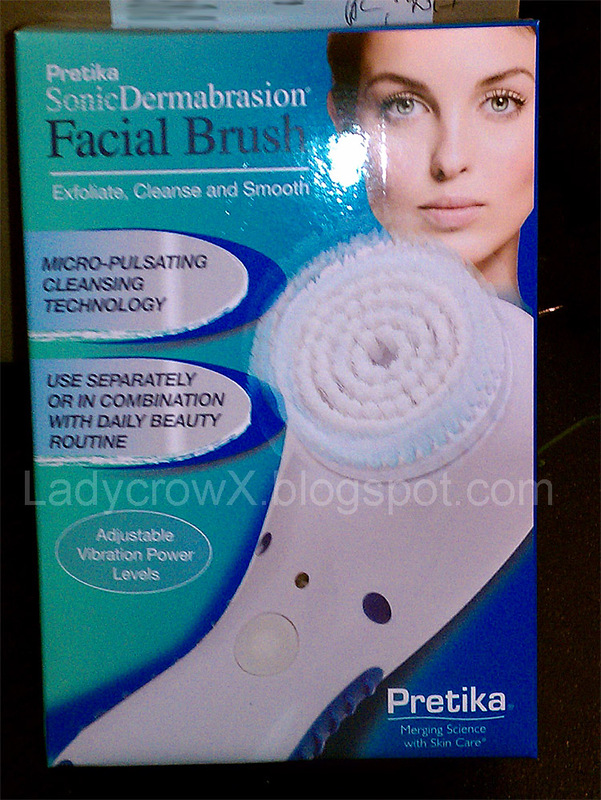 looking forward to seeing your review of the brush! I would love to have this brush! I follow you via GFC: maddailade. I follow your blog slgkag or sandragrose. I follow on Twitter and RT's the giveaway. And I don't know if we are meant to state this here but I would prefer the sugarpill gift card. I follow with GFC as nicolthepickle, and I'd love SugarPill stuff. Subscribed to your youtube as nicolthepickle1. 5. You're on my blog roll with the BlogLovin' blog roll app. I follow with GFC. Skulda. Wow, thanks for the generous giveaway! I follow via GFC with my Gmail address and can also be reached at extemter at hotmail dot com. Amazing prize choices - you are so generous! 2. Following on youtube as seventhjezebel. 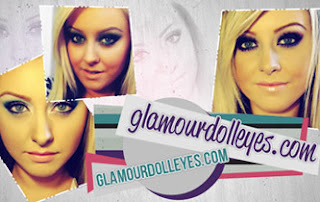 I follow you on twitter as makeupdream and tweeted about your giveaway! i follow @LadycrowX via @sondramama. Following your blog as Nicole P.
It's at http://feurety.tumblr.com/ and I posted it today, January 19. Thanks for hosting the giveaway. Super generous! Good luck vixens! this is a great giveaway! Good luck to everyone!! I am SO excited about this giveaway!! My email is rawr81itssarah@gmail.com, I tweeted about your giveaway (my username is rawr81itssarah) and I follow you on YouTube (username is also rawr81itssarah). Thank you!! I am subscribed on youtube (missivonmcgowan) and google friend connect. First off, thanks for the giveaway! - my post about this giveaway is scheduled. will follow you up with the link to it. I'm following you on GFC as Jennifer. thanks for your great giveaway <3! Hi, thanks for this lovely giveaway. I'm a follower via GFC, username is Nina. Thanks, what a generous giveaway. Thanks so much for doing this awesome giveaway ! thats so generous of you ! Following your blog through Google Friends Connect. Following the new look you were creating today. So amazing! Absolutely loved the snowflake! Follow you on Twitter and tweet about this giveaway here. Blog about my giveaway on my giveaway page here. Link to this giveaway on my blog side bar here. Please enter me in your giveaway! I'm following you as Cheryl on GFC and my email is cherylcherylcheryl(at)gmail(dot)com. I am following you on twitter username"diya7687"
I follow as NereaM with GFC and as NeritaL89 in Youtube. I'm following you on twitter and tweeted the contest, but I don't have a blog. Perfect giveaway! You're just an angel! Your fince is soooo sweet!!! 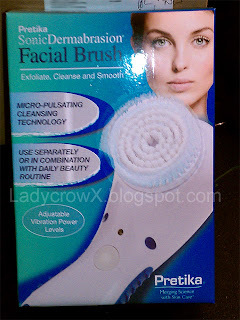 I like the facial brush and sugarpill products!! HI!!! !Awsome giveaway!!! I am a blog follower on GFC and i follow you on youtube!!! 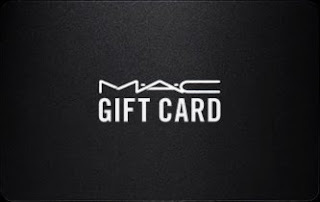 I´d love the mac gift card, i don´t have any mac products! I'm following under Law Frog. Twitter: thelawfrog and retweeted about the giveaway. Thanks for having such great giveaways! This is an amazing give away. Thank you! I love this giveaway idea! Thank you so muchhh =] ! I follow you as liquoredonlacquer via gfc! once again, so awesome! really! Oh yey! I hope I get lucky! what an amazing giveaway=) please enter me! Hi my name is rachel and would love to win your giveaway! I have recently been watching your tutorials...and they are amazing! hope you pick me to win your contest! I follow via GFC.I'm also a suscriber on You Tube as pcdoll. I follow as Lena Tallina on GFC. I follow you with GFC under Jessie Humbug, which is also my twitter name (I tweeted about your giveaway). My email address is jessiehumbug (at) gmail (dot) com. Thank you so much, you are a very generous person and a wonderful blogger. Thanks for the giveaway, I follow you on gfc as Grace Wong! Please enter me :D I follow via GFC as SkellyBones. I think this is a great idea for a giveaway! youtube: kimmiekarmalove and I suscribe to you! My twitter name has changed from Larkiinn to larkin_x, all of my other info is the same though. Thank you! I'm following under Painted Moonkin. Oh wow! I've been gone for awhile and I almost missed this awesome giveaway! i subscribe to your YT channel as carebear1420. I follow you on twitter as Chiisexy. and i'm following as well. I follow via GFC and subscribe to your blog. I subscribe to you on YouTube as garbagepailrejects. Sorry- forgot to say that my Twitter is @giveawaygirlie. I am subscribed to your blog under CupCakeKitten which is my blogger/google account. GFC follower as Ana (the one in love with the Samhain look XD ). Hi! I follow you publicly and am subcribed via my Google account. I follow you as chloeandboo@gmail.com - with my blogger account and cluttermonster on twitter.